CAE today announced that CAE USA has been awarded a United States Air Force (USAF) contract to provide comprehensive C-130H aircrew training services. The eight-year contract, awarded as a three-month transition effective October 1, 2018 with a one-year base period and seven additional option periods, is valued at a total of more than US$200 million. The formal training unit for U.S. Air Force, Marine Corps, and Coast Guard C-130H training is based at Little Rock Air Force Base (AFB) in Arkansas. Training under the C-130H Aircrew Training System (ATS) program is also provided at Dobbins Air Reserve Base (ARB), Georgia; McChord AFB, Washington; Minneapolis Air National Guard Base (ANGB), Minnesota; and Cannon AFB, New Mexico. Each year, more than 11,000 crewmembers from the U.S. Air Force, other U.S. military services, and over 30 other countries are trained under the C-130H ATS program. CAE USA will be the C-130H ATS prime contractor responsible for providing classroom and simulator instruction, training device modifications and upgrades, systems engineering support, program management and contractor logistics support. 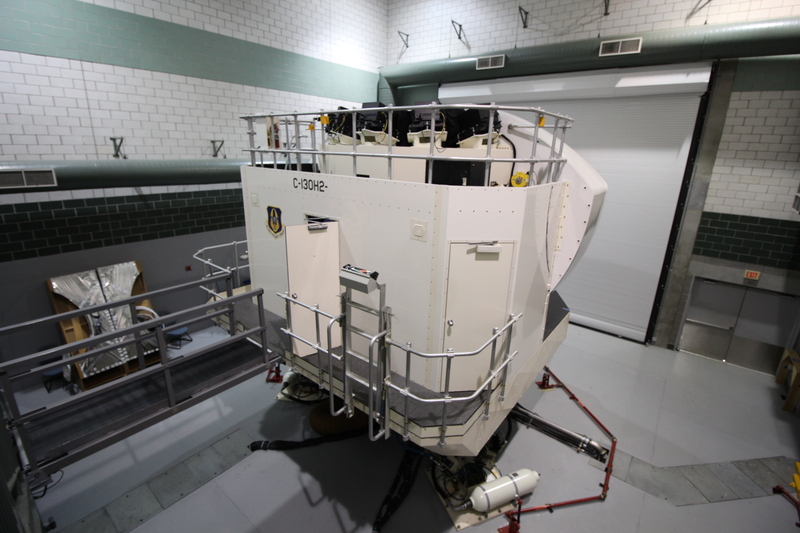 CAE USA will also manage the C-130H Training Systems Support Center (TSSC) located at Little Rock AFB. Currently there are 11 C-130H full-mission simulators and more than 50 additional aircrew training devices used as part of the C-130H ATS program. As information becomes available to Local Lodge 463 concerning plans and personnel in regards to the transition from Lockheed Martin to CAE for numerous represented employees, the Local Lodge will communicate pertinent and timely information via email, text and through the stewards. Most of what is known at this moment about the transition is considered Lockheed Martin proprietary information and cannot be published on this website. If you have questions, please find one of your Lockheed Martin stewards or Local Lodge 463 officers.